The best food tastes like it came straight from your mama&apos;s kitchen. 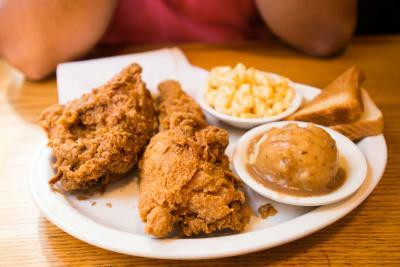 Here are four places for soul food in Fort Worth. 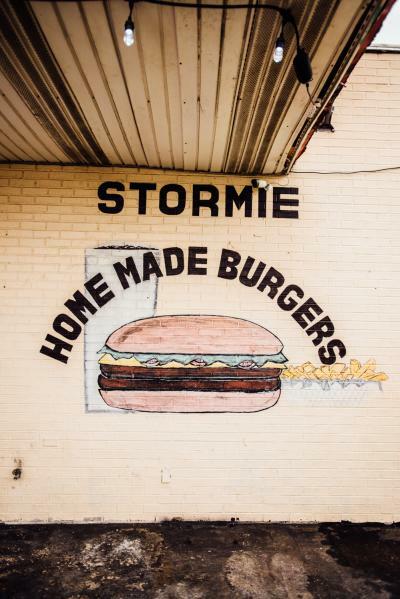 Stormie Monday’s located off of East Berry St. in Fort Worth is a great spot for homemade burgers and soul food. Come in the morning for a chicken and waffles plate or stop by for lunch and grab a basket of wings or fried fish. On a recent visit we got the Chicken Fried Steak sandwich and fries, and the fried chicken salad (you know, to stay healthy in 2019). Chicken Fried Steak is a Southern classic and Stormie Monday’s serves up exactly what you are expecting. 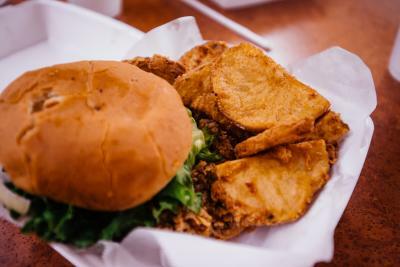 The outside is crispy and craggy, well seasoned, and the meat is tender and juicy. No frills, just done right. 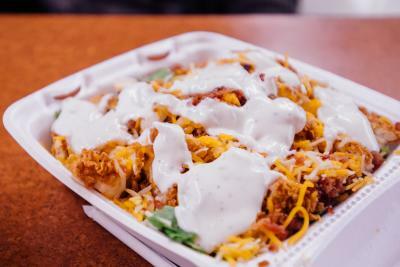 And don’t skip on the fries! Homemade deliciously fried half-moons of starchy goodness are comfort food at it’s best. 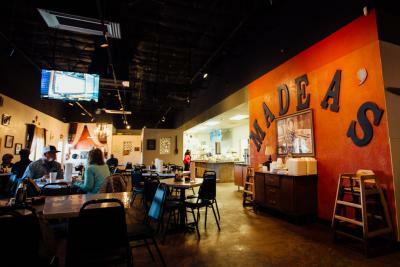 Madea’s Down Home Cookin&apos; is a large restaurant with a homey vibe and even larger portions. 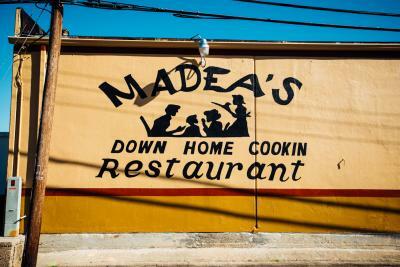 Located off of Enon Ave in Fort Worth, people drive from all over the city to get a taste of Madea’s cooking. Step up to the line with tray in hand and the friendly staff will pile your plate high with delicious mains like the perfectly seasoned neck bones and soul satisfying oxtails. Slide down the line and load up on sides like sweet yams, okra, cheesy rice and broccoli, cabbage and cornbread before filling your cup with sweet tea and chowing down. 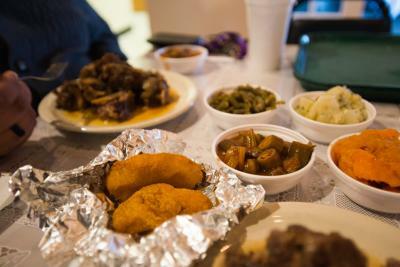 Hats off to you if you can finish everything on your plate, Madea’s is not a place you leave hungry. 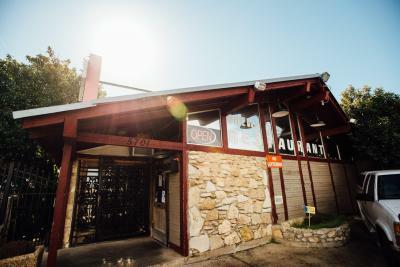 Since 1987 Drew’s Soul Food has been serving up Southern classics here in Fort Worth, gaining them a lot of recognition over the years and making them a fan favorite around town. 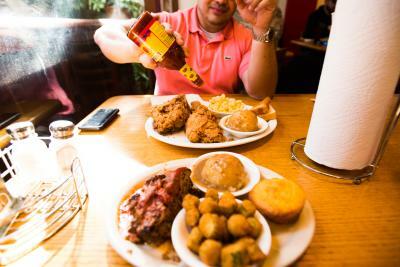 Here you will find huge portions of all the soul food classics you could crave, including: fried chicken and catfish, smothered pork chops, black-eyed peas, collard greens and macaroni and cheese. There is something really satisfying about a crisp winter afternoon and a heaping plateful of comfort food that just hits the spot, and I definitely needed a nap after sitting down to devour the Wednesday meatloaf special and mashed potatoes with gravy, corn bread, and popping the last of the addictively crunchy fried okra. Lunchtime gets packed so get here early to grab a table before they fill up! 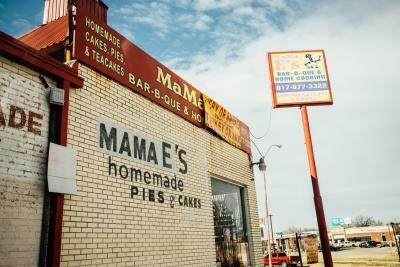 Mama E’s a s tiny square restaurant on the corner of East Rosedale and Missouri Ave with a large sign touting homemade pies and cakes painted on the side of the building. Sure you can come for the chopped beef sandwiches, BBQ chicken, coleslaw, baked beans, ribs or other BBQ staples, but what I came for was dessert. 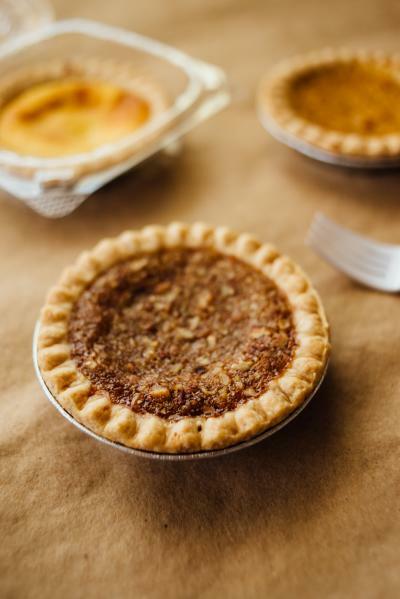 Creamy, bright orange sweet potato pie; gooey, sticky sweet pecan pie and tart, but rich and fluffy, lemon chess pie filled the menu. 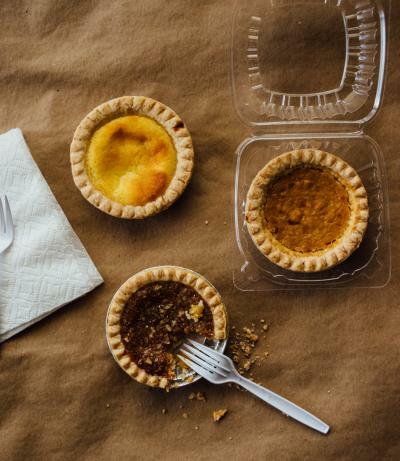 The individual sized mini pies are certainly rich enough to share, but let’s not kid ourselves. After the first bite, before you know it you’ll be at the last making Mama E’s a great stop to satisfy your sweet tooth. I ordered mine to go and they kindly packed three forks in my bag. I guess I forgot to mention that they were all for me. 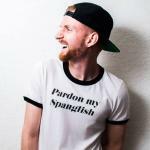 Nathanael, aka "WERO," is a photographer, chef, traveler and "taconnoisseur" who spends most of his time exploring Fort Worth through food. While traveling the world, he has eaten at fine dining restaurants, in people's homes, on street corners, in buses, planes, trains and boats, all the while learning that food, culture and friendship are all pieces of a puzzle we call community.